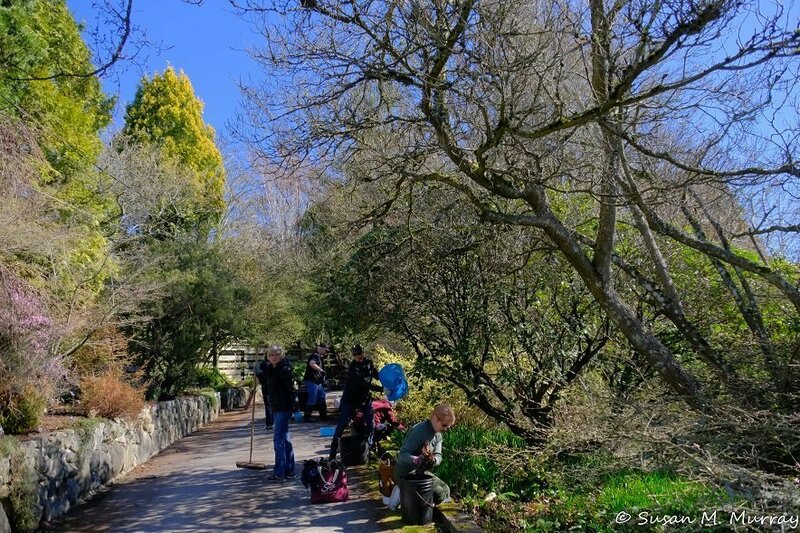 The South Surrey Garden Club weeders were busy at work in Bed 26 at Darts Hill Garden Park on a bright sunny morning last Wednesday, March 27. It was the start of the season for the group who maintain Bed 26 from late March to late September every year. Weeds were pulled, dead heads plucked, ground covers tamed, the bed well tidied and finally a layer of mulch was applied. 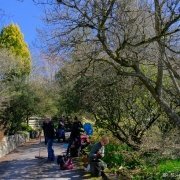 All is now in readiness for the first of the Garden Open Days this coming Friday April 5. Plan to visit the garden this weekend! Open Friday, Saturday and Sunday from 11- 3 pm. Fabulous blooms are bursting everywhere in Darts Hill Garden Park!